The General Aviation Flight Simulator (GAFS) prototype, designed, & developed by The Flying Engineer, is possibly one of the most professional & versatile flight simulators available today, for the purposes of basic flying training, and instrument familiarization / proficiency, in its development cost-category. Weeks were spent studying a real Cessna 172: Manuals, dimensions, and heavy interaction with real world pilots. With their constant supervision of the evolution of the design of GAFS, this simulator is the closest one can get to a near-true-to-life flight simulator for its low development budget. With professional 3D-Modelling of the entire simulator, design reviews by pilots, extensive ergonomic study and implementation, deep analysis and technical trade-offs, this GA flight simulator is a result of both extensive design efforts and the previous professional experience of The Flying Engineer in technical aviation / simulation. A very skilled aerospace design engineer who was part of the development of the Boeing 787 Flight Controls while working at Honeywell. An experienced technical manager who has developed the Flight Management System (FMS) for the Boeing 777, 787, A320, A340 & A380 airplanes, and has United States Patents to his credit. The Simulator has been designed for the purposes of basic aviation training (flying), advanced aviation training (flying + instruments), systems training, and for aerospace research activities. The simulator, although modelled around a single, popular training airplane, is re-configurable to take on any cockpit variant of almost any GA airplane. Modifications to the simulator, if needed, are both simple and quick. Full Instrument / System Simulation. Realistic 225 degree HOV (Horizontal Field of View) wrap around visual system. Configurable as traditional cockpit (Analog Gauges with Garmin GNS 530 / 430), or Glass cockpit (based on Garmin G1000). Cockpit layout may be changed to suit specific aircraft type. Day / Night flying, CAVOK and Bad Weather simulation. Dual MAP, Dome and Glare shield lights. Single pilot controls (Yoke / Rudder) expandable to dual pilot controls. Ideally suited for basic flying, systems training, instrument flying, visual flying-practice, and research activities. Certifiable as a BATD or as an AATD. Full pilot control over all available systems. Ergonomically designed in accordance with cockpit design philosophies, with certain acceptable deviations from the real airplane for improved comfort and activity-specific suitability. Simple design (custom hardware) for high reliability without compromising on functionality. Instructor station may be added. Failure simulation is a default add-on with the instructor station. At the moment, the prototype is being used for the personal use of The Flying Engineer. CPL holders, who may wish to refresh their specific aircraft / navigation procedures do visit (on invitation) to fly the simulator. The Flying Engineer takes pride in being one of the most technical aviation journalists. 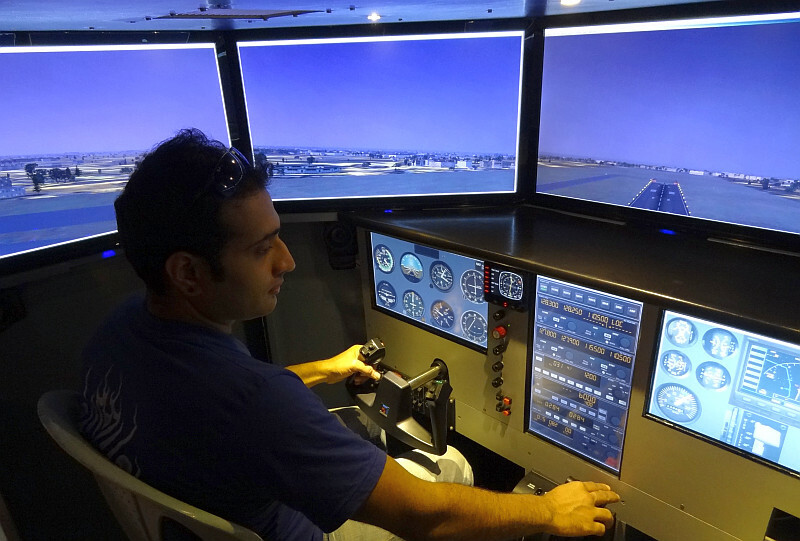 Development of this simulator took 5 months out of his aviation journalism activates, but serves to reflect his unwavering commitment to technical aviation. It’s beautiful, job well done! I feel proud that my beloved student has designed and developed flight simulator which has unique features.Your dedication , hard work and commitment and zeal to achieve excellence will enable you to reach new horizons in whichever field you choose. May God bless you in all your endeavours. I am so proud of you. Great going and smooth flying bro! I know the hard work you have put in to bring out a Flight Simulator of this Class. Excellent and a very neat work. Wishing you all the best and success. Well done! Keep it up. Congratulations for the design of a sophisticated flight simulator. A very versatile tool for aviation engineers. MIT is very proud of alumnus like you. Wish you all the success in your future plans. Its amazing what passion can help a person to achieve. Congratulations on a milestone you can truly be proud of. I wish it brings you the recognition and commercial succes you so richly deserve. f***….awesome work and looks like a smoothened put version of what you showed in Hyderabad which had the 757 loaded up. Eagerly waiting to get there. That’s a pro job Vasuki..!! All the hard work is evident in the result. Waiting to put my hands on it..!! Wow is not the word….We are a set of spotting enthusiasts who regularly think that we are in the cockpit when we enter our drivers seat of our cars…we are so very crazy abt flying that we will do anything to achieve a minute of Sim exp…Am shanmugum from chennai and if you are ok abt helping us out you can contact me at 8870003001 and shanmugum2005@gmail.com…you are living my dream…salutes flight engineer…. That was a wonderful effort. 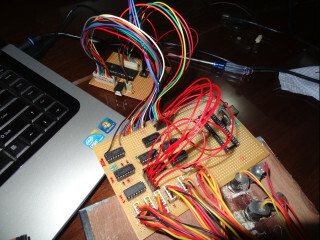 As a sim pilot I would like to interact more with the developer as we are also building and designing hardware for sim. I am a 3rd year Aeronautical Engineer from Manipal Institute of Technology & I just read the review of the Simulator! Really happy that simulators like these are now available! I myself am an aviation enthusiast and have been flying on the Microsoft Flight Simulator since i was 7! I use a joystick with basic controls like throttle control, flaps, landing gear, trim, yaw.